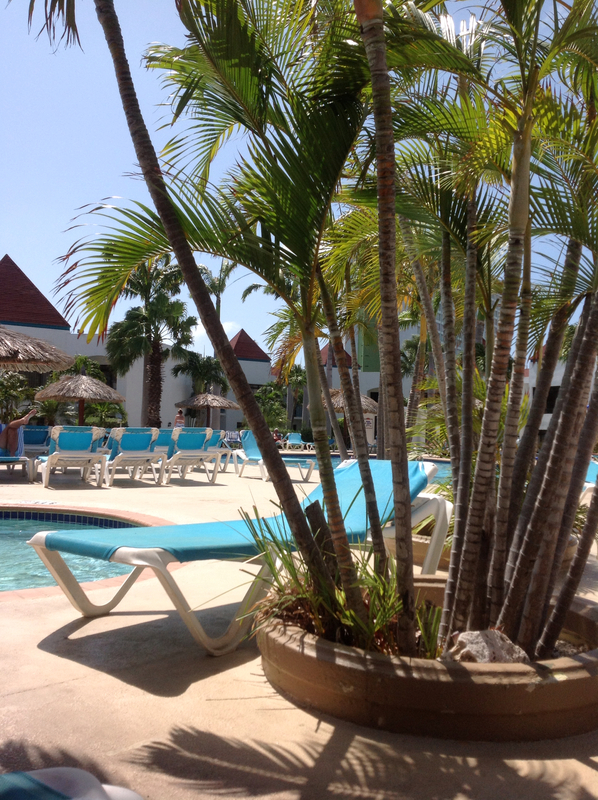 When we made our first trip to Aruba, I NEVER knew what was in store. Although the hustle and bustle is readily available, I much prefer the peace and quiet NATURE drops on our doorstop each day just like when I'm home. Greeted usually by the chirping birds and swaying palm trees, I welcome each day taking in the fresh clean air with repeated deep breaths filling my senses. 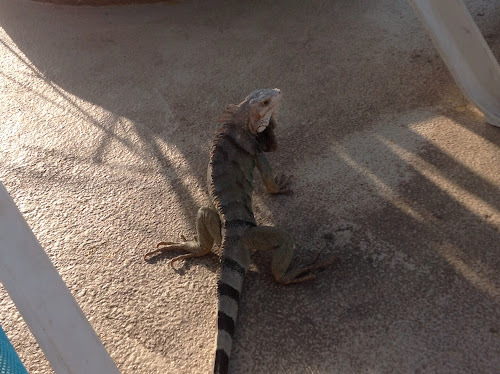 A little slower, because of the lower overnight temperatures, in the morning, the iguanas cross the path from our slider to the pool, glancing in my direction as I pass. Respecting them, I walk slowly sharing the ground with them. After all, they were here long before I was! i am with you on the peace of nature. would love to see what you saw. such cool guys and gals! I think I'd jump out of my skin the first time I saw one of the reptiles but would be okay after that! I can see why you keep returning there. 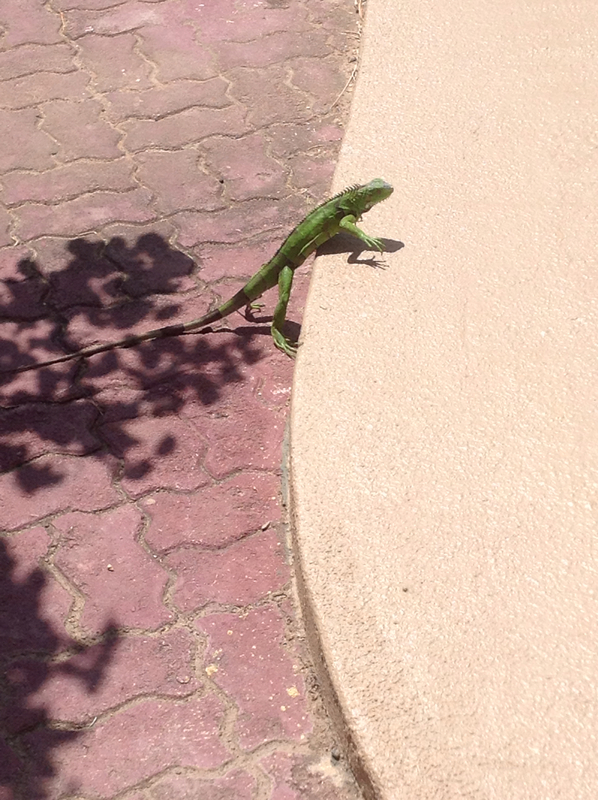 It does look pretty there, I think I would be walking slowly around that iguana too. Nature is relaxing, unless those lizards go crazy and decide to crawl on you.